It is essential for the programmers to keep themselves updated with the latest developments in the programming world. The programming, IT and computer science books available today are up-to-date and in terms of the core issues in computers and programming along with the information technology. This article will help you gain some insight about few of the best beginner programming books that will take you through the best way to learn code for programming. The latest books are available online for you, so you can utilize them and learn more. This is the second edition of the Python Programming book written by John Zelle and it is updated with the learning materials for Python 3. The author curated the book for the usage of the students studying in the first-level of computer science in college. The book also contains information regarding Chaos Theory and regarded as one of the best books on coding. The illustrated examples for Python 2 as well as Python 3 very helpful in learning the programming and coding better and easier way. The author designed the book in such a way that it teaches each and every concept of Computer Science related to computing and programming. The reader would be ready to dive into real programming after working on the exercises in the book. The fully updated Java book is the right course material for coders of Java Platform. The readers can right away jump into Java programming after studying this book thoroughly. The book is authored by the best-selling author in this segment and starts with the basic concepts like “How to create, compile, and run a Java program”. The one of the best beginner programming books slowly moves to fairly complex areas like syntax, keywords and constructs that are the core aspects of Java language. This is an Oracle Press resource and covers some advance features like generics, multithreaded programming and Swing. The book ends with an introduction to JavaFX, which is the newest interface of Java, along with a step-by-step tutorial. This book of Alan Forbes is just perfect for you if oyuare interested in learning PHP programming and have fun in that learning. The book starts with basic HTML lessons for the beginners to catch up and gradually moves to step-by-step tutorials about every single aspect of PHP. It is not only HTML that helps in building a website but PHP and mySQL are equally important. The detailed elaboration of all the aspects make it one of the best books for coding. The book covers a range of topics such as installing and configuring PHP, introduction to HTML, basic PHP Syntax, usage of mySQL and PHP together and security considerations. These are just few topics of the book. Are you a creative mind and want to implement your great idea for an Android app? This is the book that is best for you to explore the right options to learn Android programming. The book covers topics like preparing you to develop an app, walking you through the first project, helping you understand everything about Content and Eclipse of Android app development and finally assisting you run your first program. The syntax, coding and programs used in this book are straightforward and descriptive. Whether you are a beginner or an expert, the book is highly recommended. The book highlights all the key points that are essential for a learner to learn Android programming and coding. Scala is an object oriented language of programming that is used in Java Virtual Machines. It is also a functional language. The book is written by the person regarded as the designer of the language. If you want to learn Scala in the easiest way with the help of step-by-step guided tutorials, this book is the best bet. From the practitioner’s perspective, this book introduces you to functional programming. The advanced language features described in this book can easily make you a better developer. This book is one of the best books for coding that can enable you to make a seamless transition from Java. This is a handy book for programming beginners. The book is the updated edition and answers all C programming questions. This is book is one of the best-sellers in the segment and talks to the readers at their level. The book elaborately describes a range of aspects starting from how to get started to quickly learn C programming with easy-to-understand exercises. The book effectively uses special icons, clues, notes, rewards and warnings in order to make understanding the concept of C programming easier. The books starts with the basic concepts of standard I/O like printf() and scanf() and gradually goes on to teach heap memory, loops, structures, immediate I/O and many others to help you plan out your own functions. Are you planning to design or build your next best app for the web? This book will come handy for you to learn and understand Ruby programming. This book is indeed a beginner’s guide. The book is edited by the Code Well Academy and contains solved problems, codes, data science, structure and algorithms. 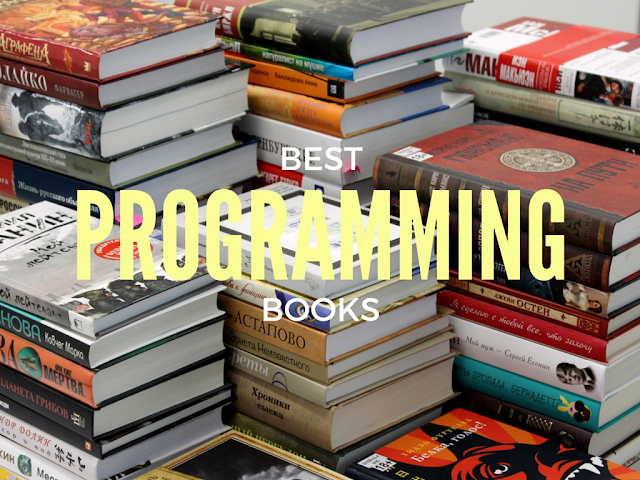 This is voted as the best programming books for beginners by several readers as well. After studying this book diligently you will be able to code like a professional. The book also describes various aspects of design and technology of AJAX, Perl, Python and Swift. The book not only explains the Ruby syntax, but also points out the common mistakes the beginners generally make. The book is a carefully written tutorial that concisely describes the basics of Objective-C along with the object-oriented programming for iOS and OS X platforms of Apple. The best part of this book is that it does not make any assumption about the prior experience of C language or any other object-oriented programming language. This makes it the best coding book available today as far as C programming is concerned. On reading this book, the readers can learn basic concepts of object-oriented programming, that too without learning all the required intricacies of C programming language. The learning guide is a perfect blend of several small coding and programming examples with exercises at the end of chapters. With the help of of this book, learning C++ programming will be a breeze for you. This book is an ultimate crash course on C++ with lots of detailed step-by-step procedures. It does not matter whether you are an amateur in the programming world or a professional in this arena, this book is the best repository. The book does not only describe the intricacies of C++ in theory. It also contains lots of useful tasks and exercises that can enhance your skills as a C++ programmer. The book covers aspects like C++ language structures, operators, C# variables, also other facets like what C++ is all about, its history, Boolean Logic, C++ methods and Loops & Arrays. The above are some of the most informative programming books available for today’s technology learners. From the popular Java, C++ to the upcoming languages such as Scala and Objective-C, all the books offer comprehensive information on all aspects of programming for both experienced developers and beginners. Choose the books which suit your preference. Happy reading and learning!